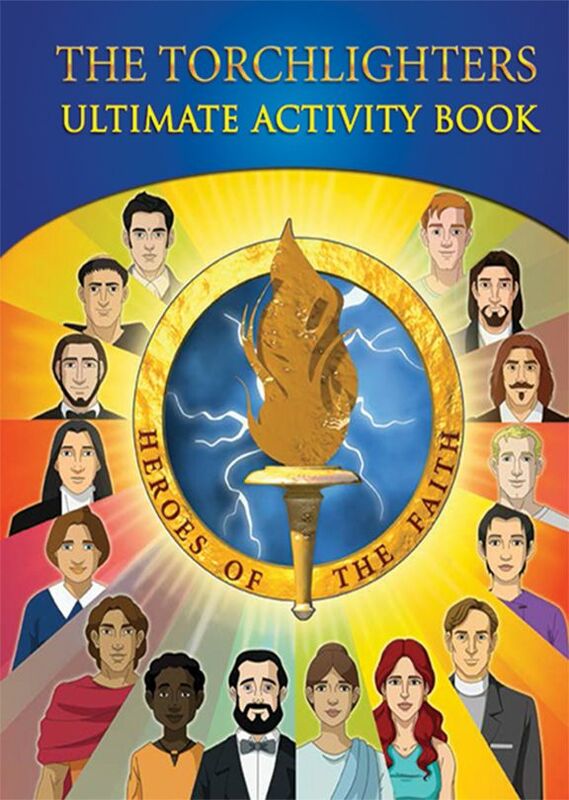 The Torchlighters Ultimate Activity Book features all 16 heroes of faith presented in the award-winning Torchlighters DVD series. 145 pages. The Torchlighters Ultimate Activity Book features all 16 heroes of faith presented in the award-winning Torchlighters DVD series. The Ultimate Activity Book includes historic facts based on each hero; fun activities like extreme dot to dots, a challenging maze, hidden images, and word searches; beautiful coloring pages; real-world activities to do with friends and family; a devotional tied to each episode; and more! Inspire children of all ages with these engaging and educational stories and activities. Great for family devotions and Sunday school classes. 145 pages.